…faithful Sabina Moneme finally walks down the aisle! ICOCnigeria: Finally, you’re a married woman. In one word, how does it feel? Sabina: Hm! Hm!!Hm!!! (Looking for the right word) No sun, no rain. The wedding was just bam! You can see from the atmosphere. God has surprised me by giving me this weather. I’m so grateful to Him. ICOCnigeria: What’s going through your mind right now? Sabina: I’m thinking of how my honeymoon night will be (with a grin) and how I can make my husband happier. ICOCnigeria: Mrs Oduaran, please describe the atmosphere here today. Sabina: The atmosphere is satisfactory given the faces of the guests, family members, disciples. I am so much grateful to a woman I can call my mentor in the Lord Mrs Yemisi Mbaka. In spite of having an event on the island yesterday (she got home 2:30am – this morning) and was still able to come here as early as 6am to organise my wedding. Yemisi is more than a friend. She is the big sister I never had. The same applies to my school alumni. The cake was made by them. I was going to pay for it but they surprised me by saying it was a gift from them. ICOCnigeria: What did you see in Ejiro that made you fall head over heels in love with him? Sabina: I’m not going to go into details. To be honest, I never saw the things people say about him until today. He didn’t have money. No wealth. He never had things going well for him, yet, he was so open, real and honest about his state and emotions, an uncommon trait for a man. I never expected such a man to be so comfortable to disclose to a woman his nothing-to-write-home-about particulars. Right from the word ‘go’, he was such an open man. He’s been like that ever since we became friends. Can confidently say I know him. If there are other facts I don’t know about him I don’t think they’ll be more than ‘normal’ things. ICOCnigeria: Tell us. What do you look forward to in your marriage? Sabina: I look forward to a time when I will have so much respect for my husband such that people will be amazed. Sometimes he talks very loud but that’s his nature and his upbringing. I want to see a man who speaks more tenderly. He has a dream of having a set of twins (two girls) because he has two women in the bible who are his favourite female bible characters (wouldn’t want to mention their names because someone may go ahead and name their baby girls after them). They stood out in the bible. I look forward to having a happy home. I want him (my husband) to feel loved because he always feels he was never loved while he was growing up. I look forward to giving him the motherly care he never experienced. ICOCnigeria: What do you say to your friends, neighbours, and relations etc. who helped make your day? Sabina: I thank all of them who left all they had to do today to make my day. My ‘thank you’ can never be enough. My dear friend Chima (Friday Sylvanus’ wife) has been there. Her wealth of experience for a woman who’s just 2 years in marriage is unbelievable. Many thanks to Mrs Maryam Barde, a banker and mother of two, who baked the cake. I just told her about the cake barely a month ago! And she did a wonderful job. My husband actually designed the cake. Surprisingly, the woman said she had never seen the design before and to our amazement, Mrs Barde still went ahead and did a good job. It was wonderful. I appreciate my ‘dad’ (my late father’s eldest son) who, in spite of ill health, came all the way from the village (he lives in Enugu). He actually had another function (a friend’s son’s wedding) and he really doesn’t joke with anything that has to do with his alumni but he cancelled the appointment to give me out in marriage. He didn’t even know I was going to have the Church wedding so soon after the traditional one. I thank his wife and children for their moral support. It was such an honour. ICOCnigeria: In what way(s) has the Church played a pivotal role in making it work? Sabina: Our Church is a spiritual training ground. I must mention the impact of Mr and Mrs Wale Aderibigbe who are my spiritual parents. Our coming together was because of their advice. When Wale saw me serving as usual, he said to me ‘’It seems there’s a brother eyeing you.’’ When he said this, I laughed it off. I said ‘‘oga Wale, you’re dreaming.’’ He was travelling to Ghana with his family on vacation at the time and gave me a charge ‘’I want you to hang out with this brother’’ and like they say, the rest is history. I thank God I did. It’s not a mistake today. My regional leader evangelist Obasa played a pivotal role too. The Sarah mothers – the elderly women in the church were there for me. They gave me a gift and I’m grateful to them. I know the pre-teens and teenagers are looking up to us for inspiration and godly counsel. I’m grateful to God for the ultimate pivotal role He played. I’m happy that I never compromised. I thank the International Church of Christ for laying the foundation for spiritual relationships among brothers and sisters in the fold. I want to seize this opportunity to encourage my sisters who are still waiting on God for their life partners to not compromise their faith and trust in God. TheCchurch is doing a good job by calling us to godliness which is all that we need to stay in step with Him. Thank you Mr Wale Aderibigbe for the opportunity. ICOCnigeria: Thank you too Mrs Oduaran for the honour. We wish you a memorable honeymoon and success in your marriage. ICOCnigeria: Mr Oduaran, in a nutshell, tell us how you feel right now. Ejiro: I am very grateful. God has done a great thing in my life. Years back, I never believed I could become a married man. Having had three different relationships that never worked, I feel like a real man today. 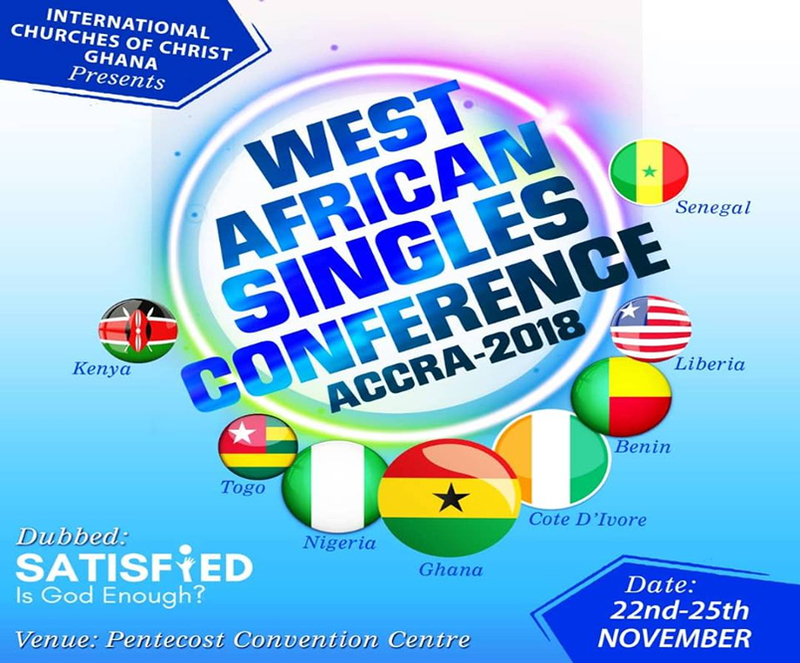 ICOCnigeria: Any word for single brothers in the fold? Ejiro: I would like to let all single brothers know that we serve a living God; He is the omnipotent and the omniscient. He knows the woman you are going to marry. Our God is aware of every of our situations. God will make everything work. Don’t be afraid. He’s the beginning and the end of your life. Do not worry. Cast all your anxiety upon Him. God is faithful. Let’s keep the faith. Let’s fight the good fight. I’m not afraid of my future anymore.